Previous studies on gender and the net have suggested girls communicate better, and more often, than boys. But US researcher David Huffaker's study of 70 blogs contradicts this. He found the gender split in blog use was 50-50. 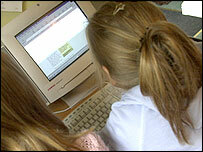 But worryingly, teens tended to reveal more personal details on blogs than in chatrooms and forums. "Privacy is a concern, what with cyber-stalking and predation, but we think this could be something that parents or teachers could be encouraged to make them more aware of," Mr Huffaker explained to BBC News Online. Many teenage bloggers he studied gave out e-mail addresses, instant messenger names or links to personal homepages. Mr Huffaker's postgraduate research at Georgetown University in the US looked in detail at blogs created amongst young people aged 13 to 16, across several well-known blog publishing sites. Recent figures from one web survey company, Perseus Development Corporation, have suggested that 52% of all blogs are created and maintained by 13 to 19-year-olds. "Overall, there were a lot more similarities than differences in blogs. In terms of personal disclosure, they were using names that were close to real names," he said. Females tended to link to personal homepages while males were giving out details of their location more often. On average, males used more emoticons, like smiley faces. Previous studies in computer communication, explained Mr Huffaker, have suggested that females are more likely to use them. He also found that not only did teenage bloggers write a lot more than would be expected, they were also using the blogs as a form of "self-therapy". 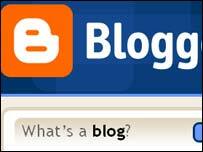 "Blogs are an area for self expression. It gives them a space to be candid or personal where they don't usually have. "I thought at first it was about exhibitionism, but a less cynical view is that they are trying to meet a common human need of finding connection." Most of the blog posts were about their everyday lives, and what was happening in their school. About 67% used the facility that allowed them to comment on blog entries. This is a feature in many of the blog publishing systems, and is part of their attraction, as well as the ability to link to other blogs. About 40% talked about music and bands, but many were a lot more candid about themselves. Two of the blogs he studied were by 15-year-old mothers whose posts described what they were going through. Many of their posts were accompanied by messages of support from strangers. "I am now looking at the way blogs can be used in the class, as an educational technology," Mr Huffaker said. "The average blog post is over 2,000 words (per page), which is really interesting when you are trying to get kids to write essays." He found evidence that some teachers had already been using blogs to highlight pupils' work to improve literacy, but also as a way for students to comment on each other's work. Blogs have exploded in popularity amongst young people and adults in the last 18 months. They are an increasingly common way of expressing and communicating on the net, along with e-mail, chatrooms, message boards and instant messaging. But very few in-depth studies have examined differences in how males and females use them. A recent white paper by Perseus has suggested there are currently 4.12 million blogs which have been created on eight of the biggest blog publishing sites on the net.